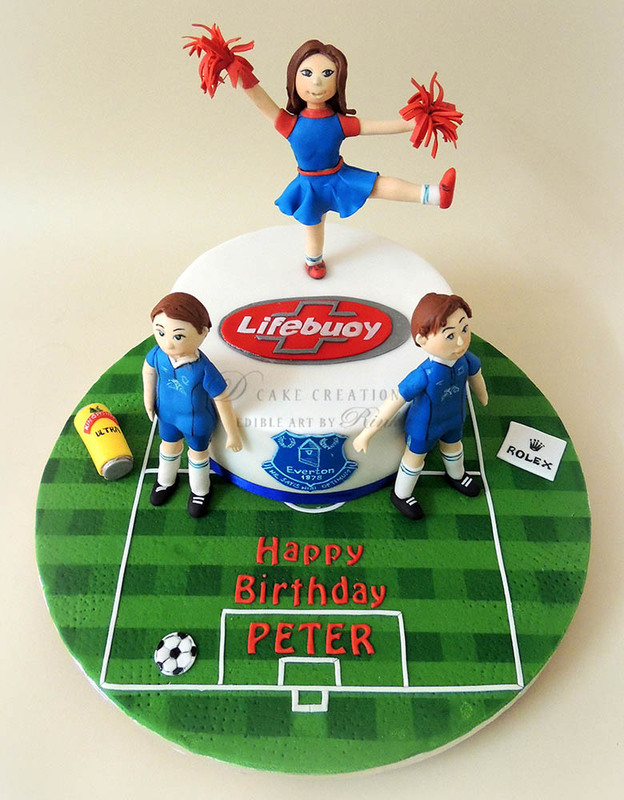 A cake for an Everton Soccer Team fan who likes to pose a Rolex and relax with a Kingfisher beer can! This cake was a corporate order from a team wanting to cheer their leader on his Birthday. Great team spirit we say!